If Momma ain’t happy, nobody’s happy! and this little phrase helped me avoid getting deeper into trouble as a kid, and also sheds some light on organizational behaviour and business as well. For the past 35 years I have had the good fortune to work with some very interesting challenges and a very interesting group of people, CEOs and senior leadership teams as they take on the tasks of improving their businesses. Sometimes the challenge was external, as when the US Government broke up Ma Bell in 1984 and the resulting 7 Regional Operating Companies (Baby Bells) had to suddenly deal with competition from alternative carriers. Sometimes the challenges were internally induced, as when the new management team at General Public Utilities Nuclear had to clean up and restart the Three Mile Island Nuclear Plant. Or when Ford decided to convert its worst performing manufacturing plant, Halewood, into a new Jaguar production facility. Or when Lycoming Engines had to rebuild their business after a major product quality defect almost sent it into bankruptcy. Sometimes the challenges were in response to a business opportunity, such as how to significantly ramp up production of armoured vehicles during the Gulf War to better protect soldiers from IED (Improvised Explosive Devices, aka terrorist land mines) right after Hurricane Katrina devastated a manufacturing facility. All fascinating, interesting and definitely challenging assignments. As a result of these and other business change challenges, I have come away with some interesting observations about leaders and change. Change is one of the most talked about subjects in business (a Google search turned up 5.5 Billion hits), and one of the hardest to deliver. 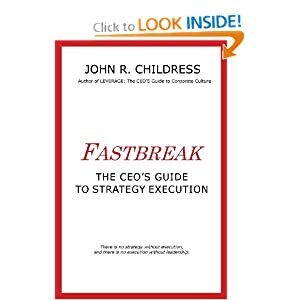 I’ve seen what were supposed to be easy changes fail miserably and result in the firing of the CEO. And I’ve also seen extremely complex change programs succeed and transform a mediocre company into a world-class quality leader. The greater the pain and discomfort of the CEO, the higher the probability of successful change! In other words, after all these years I can pretty much tell, 15 minutes into a conversation with a CEO, the likely success of his/her change agenda. Too often people talk about change, some every give eloquent presentations, others even rant, but unless there is a seriously high level of discomfort in the CEO, not much will change. But when the inner pain and discomfort of the CEO gets high enough, then I tend to wager on a successful outcome. What’s your level of resolve concerning change in your organisation? What’s your level of resolve? What triggers your “burning platform” moment? 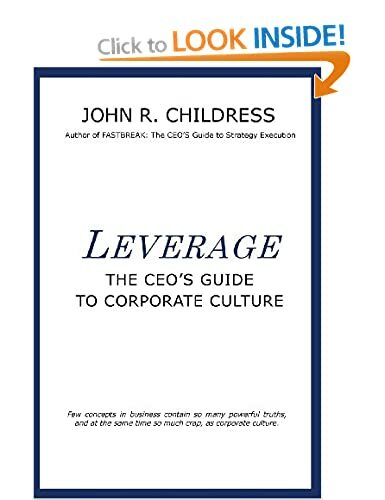 This entry was posted in consulting, corporate culture, Human Psychology, John R Childress, leadership, Organization Behavior, strategy execution and tagged armoured vehicles, Baby Bells, bankruptcy, Burning Platform, change management, Ford, General Public Utilities Nuclear, Gulf War, Halewood, Hurricane Katrina, IEDs, Jaguar, leadership during change, Lycoming Engines, Ma Bell, role of the CEO, Three Mile Island. Bookmark the permalink. now that explains why most companies ONLY talk about change. thanks for an eye opening perspective! I think leaders would do themselves a favor by realizing that bringing about change in a comfortable environment is so much easier than when circumstances force it upon them. I love that diagram. Can I get your permission to use it? Why do clients call us when they’re at the end of their rope? Is it human nature? Leaders need to listen to their inner voice. When they sense something is “off,” that’s the time to address the situation. In my experience, the best leaders have the best emotional intelligence. Steve: Nothing exciting ever happens in a refrigerator; we’ve got to turn up the heat. I will send you a copy of the diagram to use. Great perspective, John. I’m going to remember that one next time I’m sitting with a CEO. if he’s not squirming around on his seat with discomfort, I’ll make my apologies and leave.